Atelier185 is the brand under wich Clem Vanhee creates unique handforged damascussteel knives. After finishing his highschool studies in mechanical enigneering Clem started a course in blacksmithing at the CVO Ghent. Under the skilled supervision of Philip Vercammen I learned how to forge, wield and weld hot steel. Turning the blacksmithing craft more and more into the almost lost art of damascussteel forging and knifemaking. Now I forge my own patternwelded damascus steel to the highest possible quality. As a mechanical engineer, steel quality, material properties and hardness are very important for me. Therefore i had my handforged damascussteel investigated and approved by Prof. Coudeville, materialsspecialist of the KU Leuven department Bruges. Use a good wooden cutting board. Next to a good knife, a proper wooden cutting board is very important. Avoid plastic boards as they are also harsh on the edge. No contact with hard objects. A high end damascussteel knife is made for cutting, not for chopping through bones, froozen food or open cans and bottles. Keep away from other metal objects. Any contact with hard materials will damage the cutting edge and can cause edge chipping. Wash the knife separately, wipe dry, and put it in it’s wooden box for protected storage. Never use a scourer to clean the knife, this will destroy the design of the knife and will dull the edge instantly. All my knives are made from high end carbonsteel, so they are not stainless, they are prone to oxidation. Wipe down the knife if it won’t be cutting anything soon. High-end knives need upkeep for the cutting edge. Oil the blade and handle. As I am proud of my work and want all my customers to be happy with there knives. 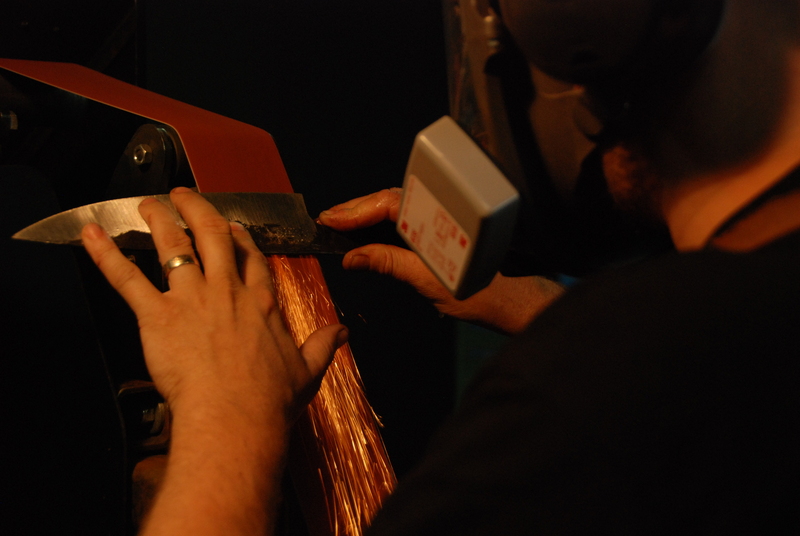 A lifetime warranty* is given on my knives and I offer a free** yearly sharpeningservice. ** free yearly sharpening excludes shipment and customcosts. Stay sharp and get in touch with me!